Now that was quick - T-Mobile officially announced that the second dual-core chipset to hit American soil will be Qualcomm's Snapdragon in the HTC Sensation 4G, come June 15th, just a few weeks after the European availability. The handset comes with Android 2.3 Gingerbread, 4.3" qHD 540x960 display, and the 1.2GHz third generation Snapdragon that lets you record Full HD 1080p video at 30fps with the 8MP camera on the back. These features combined can't be found on any phone in the US currently, so T-Mobile will have something unique to offer, not to mention the 4G HSPA+ connectivity on the phone. 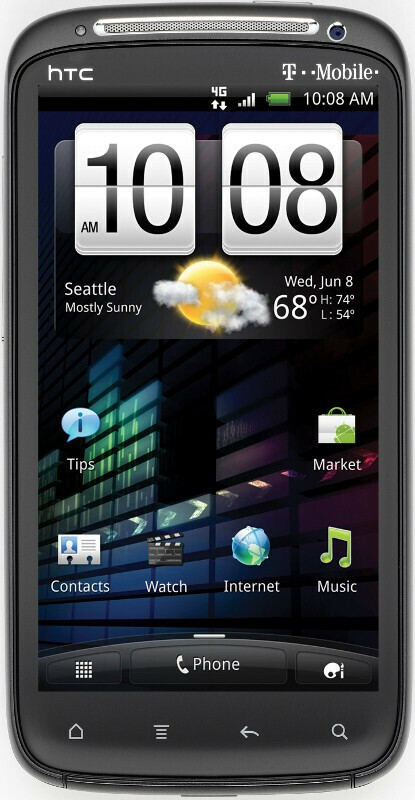 The HTC Sensation 4G runs the newest HTC Sense UI, which offers actionable lock screen and instant shot-to-shot times in the camera interface, among other new features. Sense also now integrates HTC Watch, for movie and TV series streaming, and HTC Listen, a music service. From the carrier's side comes T-Mobile TV, a selection of free channels for live streaming, as well as T-Mobile Video Chat, which is powered by Qik. 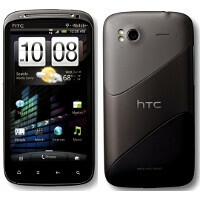 Excited about the HTC Sensation 4G coming to T-Mobile, or you want to hear the price first? Sorry, no details on pricing yet. i wonder if this phone will have bootloader locked. i know the Europe version is but im curious too see if HTC unlocks the bootoader for this U.S. version. it's a nice phone but i'd be much quicker to choose the G2x over it any day. um, a NVDIA Tegra II dual-core processor running a vanilla build of Android makes for a extremely speedy experience guy, go play with one, it's PERFECT! the Sensation is fast too but Sense is becoming much too integrated into Android, it's too much for a guy like me that just wants as little going on as possible so i can slap GO Launcher on it and customize it the way i want on top of the core Android experience not some Android here and some Sense there, i personally don't want Sense on my phone. don't get me wrong, they do a good job with it, it's just not my style. I have the HTC thunderbolt....but man the video made me drool over the sensation. Hopefully, the battery life on the sensation is better than the thunderbolt's. lmfao at people who thumb down others who already have a speedy dual-core phone. The best Dual-Core phone is the SGSII hands down. HTC Senssation will be near but not the same. G2X needs a little polish, there's a lot of potential.